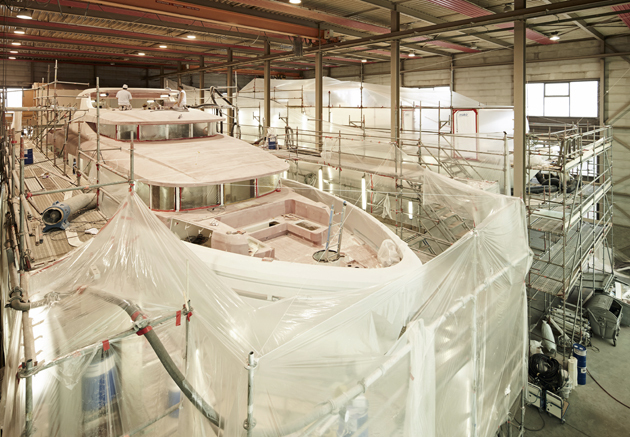 The first yacht in Moonen's René van der Velden-designed semi-custom Caribbean range is well under way, with the hull faired and primed. “We are still very much on track to meet the schedule, which is a testimony to the planning here at Moonen, and the close relationship between our designers, engineers, builders and sub-contractors. Everyone is putting in maximum effort to have the first Matica finished to the highest degree,” says Nicky van Zon, project manager at Moonen. 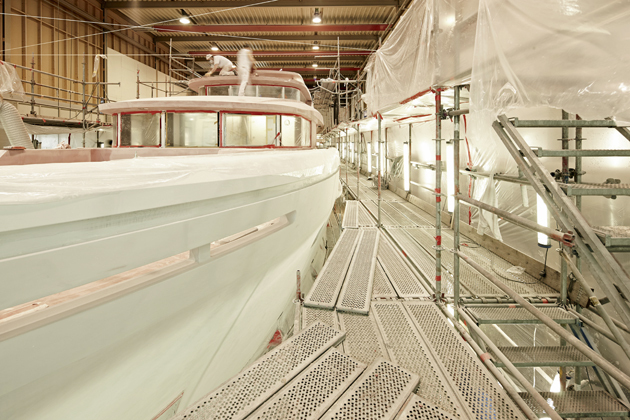 “The owners are very involved in the build process and enjoying it immensely.” The yacht was sold by Camper & Nicholsons International, and is set for launch later this year. The carpentry on the lower deck has also been completed with the fabric panels and blinds still to install. She will feature an interior by Adam Lay Studio. The raised pilothouse displacement yacht boasts a main-deck owner’s cabin, with three guest cabins on the lower deck. There is space here for five crew in three cabins. Powered by twin CAT C18s, the steel-and-aluminium yacht has a top speed of 13 knots, with a 3,300-nautical-mile range at nine knots. The 2.1-metre draught and well-protected props will make her a good proposition for cruising in shallower waters, the yard says. Construction is also well under way on another yacht in the Caribbean range, the 37-metre Martinique, which is currently for sale.